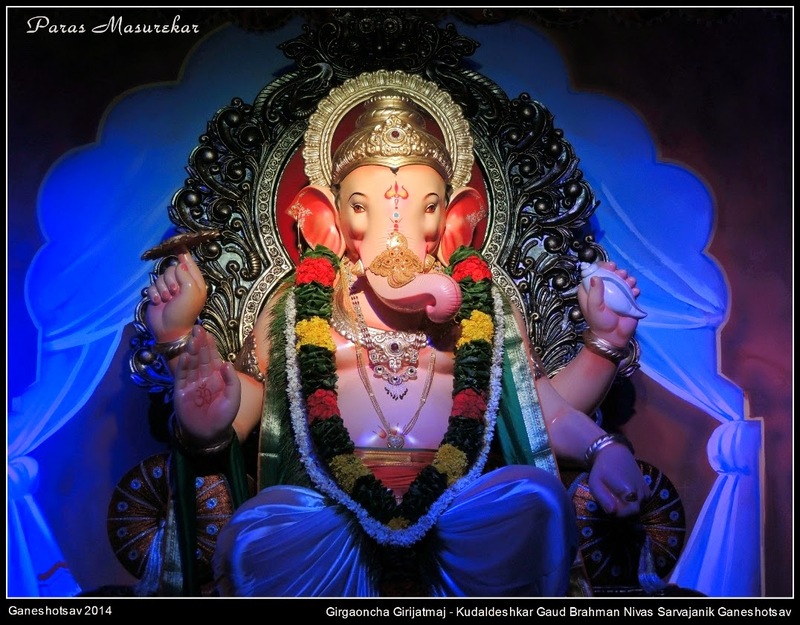 Now the third and final part of the Ganesha Series. I know I am a month late..but I believe Better late than never. So here we go. The Eco Friendly Ganpatis Of Mumbai..through the lenses of my friend Paras. 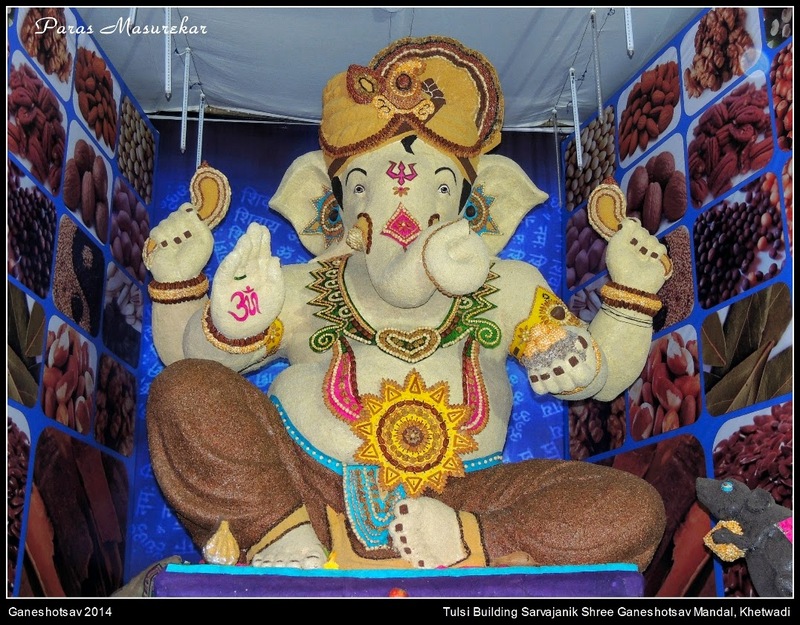 Girgaoncha Girijatmaj of Kudaldeshkar Gaud Brahman Nivas Sarvajanik Ganeshotsav is made from fiber. 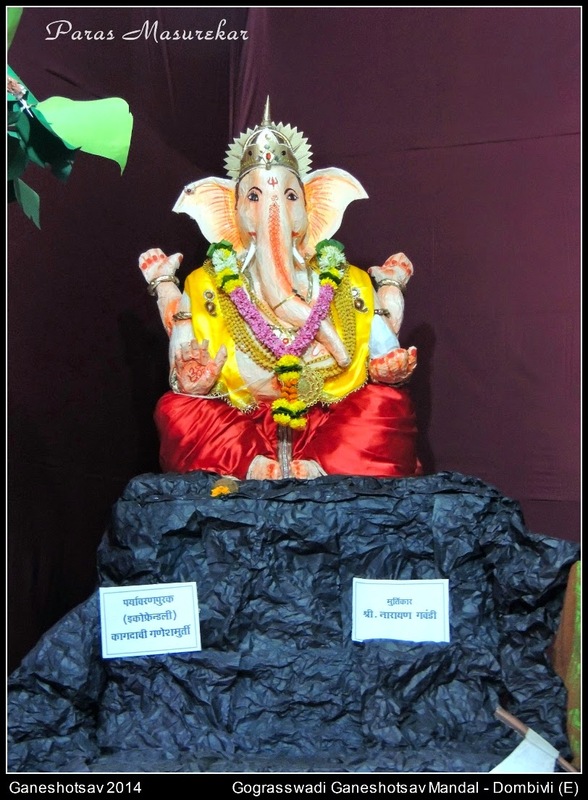 The idol was made by famous sculptor Mr. Vjay Khatu in 2010. They are the 1st S.G.M. to do away with the visarjan of POP idol and their idol is stored permanently. 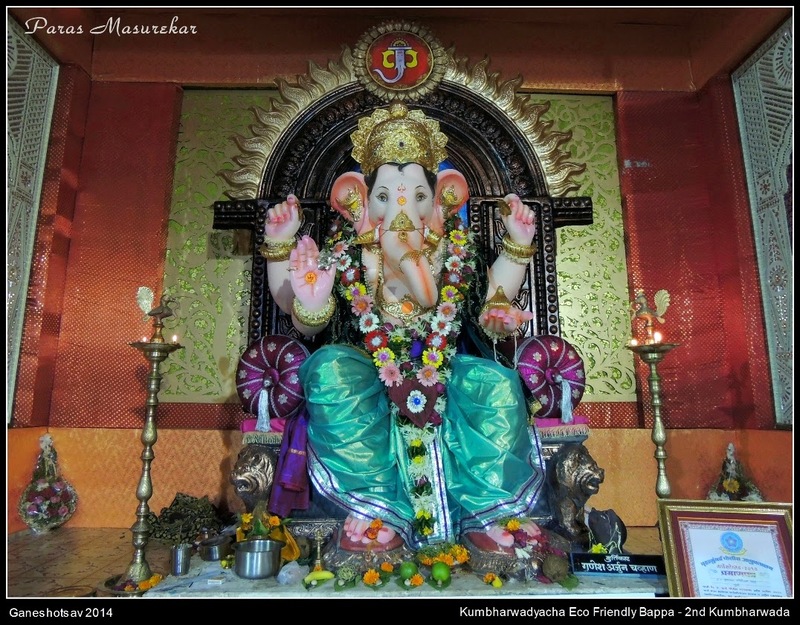 Every year the idol has a visarjan procession till Girgaon Chowpatty from where it is brought back to the mandal and kept safely in a small pandal for daily worship. That is a good concept indeed. Yes Ms. Rupa a good concept by all these mandals thinking out of the box and leading the path for others to follow. These are what masterpiece or something ? So natural yet so beautiful . Why didn't they think about it years back ? They are beautiful na ! 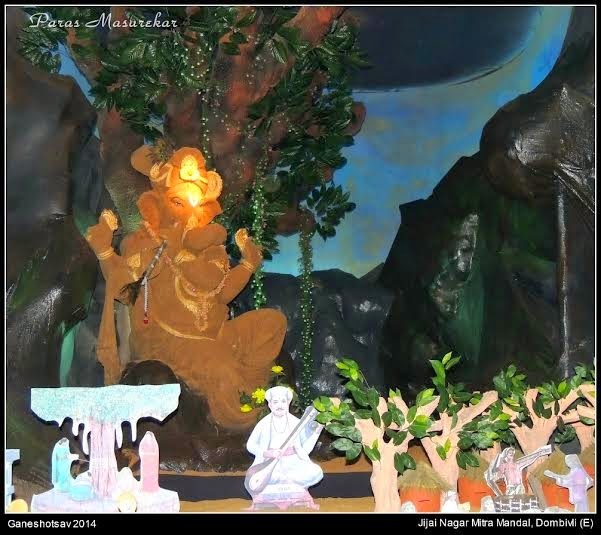 An incredible display of art & creativity shown in making these idols. Hats off to the idol makers and also the members of pandals who thought to take this step towards curbing the ever increase threat of pollution. Eco friendly Ganesha idols are gaining popularity & even the idol makers have taken up some really good initiatives like eco friendly idols, limiting the height of idols which eventually will help in cutting down the pollution level during festival. Exactly Hrishi a need of the hour it is ! Hope more and more mandals take this up and make the festival more greener & environment friendly. I would say they are THE BEST ! It takes a Lion's heart to walk against the tide and here we are talking about age old customs and rituals related to a beloved god. What caught my mind instantly was their way of looking towards the festival. They say they have their lord with them for the entire year keeping a watch on them and blessing them ! sahi na ! 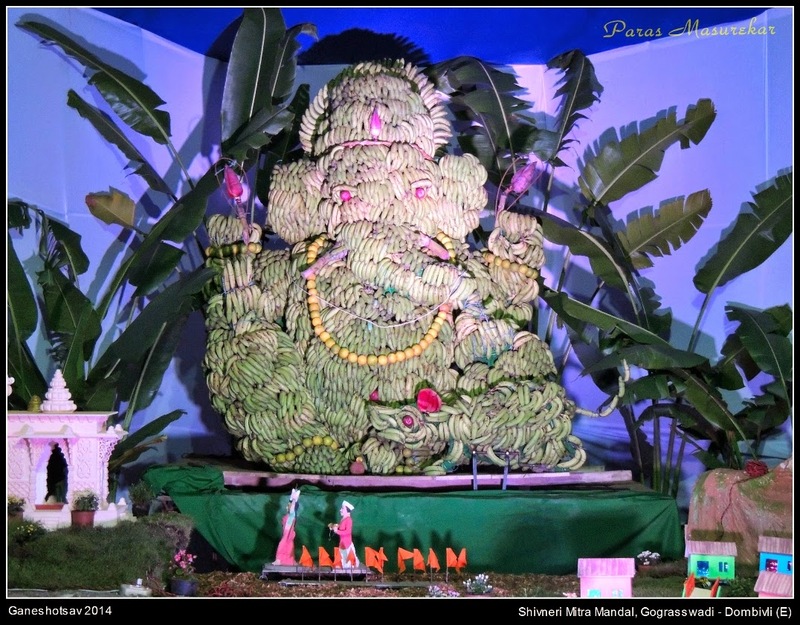 Didn't knew whether the idol was submerged or what, but imagine all these raw bananas getting ripen during the 11 days and later distributed among all devotees as a prasad.. won't that be the best prasad one may have ! Really nice idea to keep the same murti every year!!! Awesum clicks and nice description to every pic!!!! 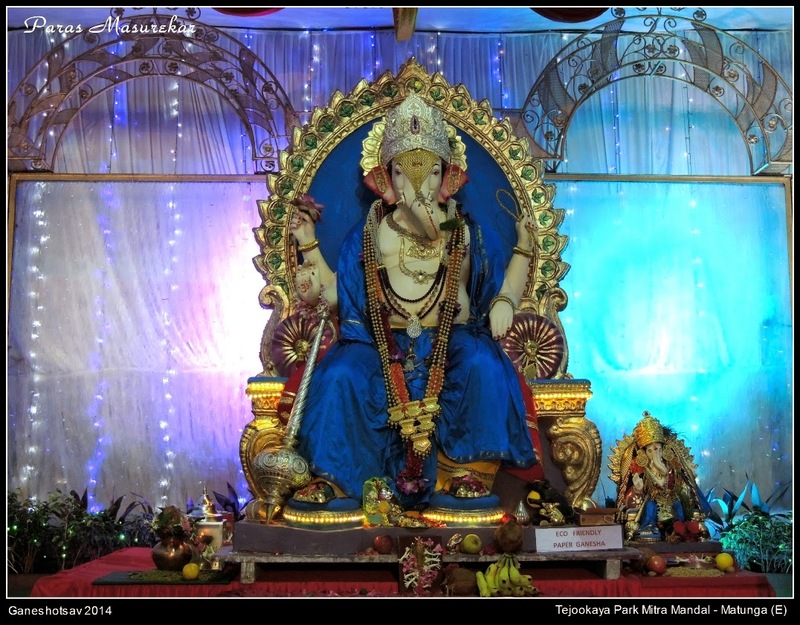 Yes a concept one can adopt here in Mumbai like they have Ek gaav, ek Ganpati (one village, one idol) in smaller villages. Thanks for the compliments Vrushali. God bless.